It is with a heavy heart that I share some sad news. Ray Crowe died on Tuesday, September 29, 2015, in his sleep this AM, apparently of a heart attack at the Timberview Care Center, Albany, Oregon. Charles Raymond “Ray” Crowe was born December 30, 1937 in Portland, Oregon. He was founder of the Western Bigfoot Society, a well-known butterfly collector, and a fan favorite among socializing Bigfooters. Ray was born and raised in Oregon, serving as a weatherman for the U.S. Air Force and the U.S. Weather Bureau, as well as working in a variety of other trades. These included as a dye laboratory assistant and computer gauging technician with radioactive equipment background. He once said he took “pertinent courses at Portland State College, Multnomah College, Western Business College, and Clackamas Community College.” For years, he ran an antique and used bookstore in Portland, Oregon. Ray was an active amateur scientist. He formerly was the President of the Geological Society of the Oregon, the Chair of the Oregon and Washington Ice Age Floods Committee, and was always active in the Oregon Archeological Society and the Tualatin Valley Gem Club. His butterfly collection was one of the largest in the West, and he contributed his collection to museums late in his life. He wrote several published articles on butterflies. Recent years had been rough for Ray. On April 22, 2012, Ray suffered a stroke which paralyzed his left side, which also resulted in a collapse artery in his neck. He was moved back to the V.A. Hospital and given blood thinners. On April 25th, the V.A. Hospital determined that they were not going to treat Ray further and they transferred him to a respite/hospice facility to await death. But he cheated death, survived, and lived life as best he could during the years since 2012. 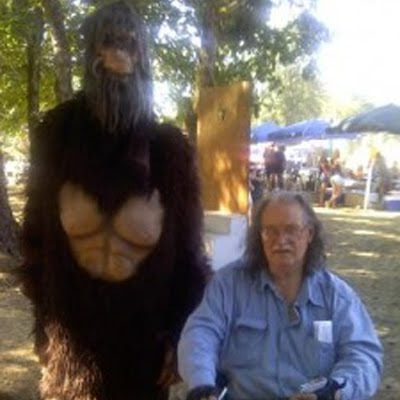 Ray was a Bigfoot researcher/archivist from Hillsboro, Oregon. 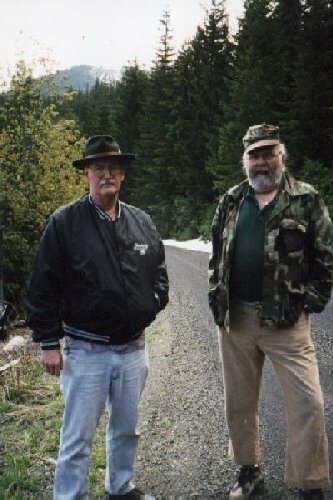 His initial interest in the Bigfoot mystery occurred after he went with a group of Bigfoot hunters from nearby Vancouver, Washington (a rather militant group, according to Ray), who dropped Ray off on an isolated road near the forest. Ray found a set of tracks he could not explain, and he decided then and there to start a group dedicated to Sasquatch research. Ray began his organization back in 1991, in Portland, Oregon. 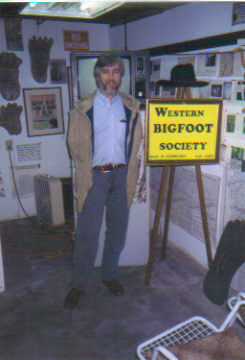 Loren Coleman visits Ray Crowe’s Western Bigfoot Society, during the early days. Ray called that group the Western Bigfoot Society and he held monthly meetings in the basement of his bookshop. That basement, which I visited during its heyday, was a museum of sorts of his years of collecting various Sasquatch memorabilia. 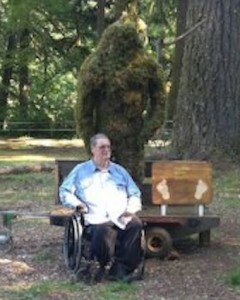 Ray changed his organization’s name to the International Bigfoot Society, solidified its nonprofit status, and moved his home and the society headquarters to Hillsboro, Oregon. One of the fun moments among many that Ray had was his interview appearance with a beginning new comedian named Stephen Colbert on The Daily Show with Jon Stewart, Season 3, Episode 96, on February 17, 1999. He ended up appearing twice on The Daily Show, and twice on Japanese television. Ray was also in the television documentary Sasquatch Odyssey: The Hunt for Bigfoot (1999) and was in an episode of Weird Travels (2003). Crowe was about to shut down the newsletter and organization in 2006 (after 13 special editions, one novellette, and one novel), but one rumor had it that controversial researcher Tom Biscardi offered to continue the newsletter and the organization with funding. But what seems to have occurred is that Ray decided on another route. Ray continued to receive reports and media articles from around the world. 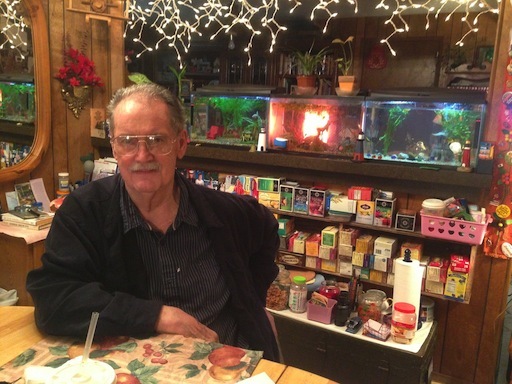 After closing his bookstore, he continued to hold meetings in various places until he started holding them at Dad’s Restaurant in Portland, Oregon. 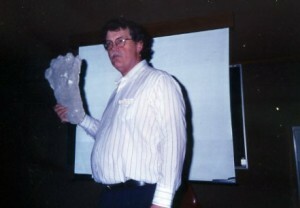 In 2008, David Paulides and his North America Bigfoot Search bought and saved the Crowe/IBS paper records and Track Records. 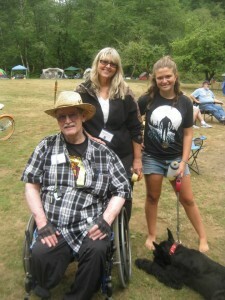 In 2011, Ray began holding meetings again, but his health continued to be a concern. Since the death of his beloved wife Theata (see her obit) at the age of 66 on September 21, 2004, Ray expressed in 2006 that he had suffered some difficult months. Theata was Ray’s closest friend, and he shared a world full of her sense of humor, which he deeply misses. He often repeated stories about her. For example, once she was speaking to a reporter about the lack of monetary incentive in the Bigfoot field. Theata joked that she had made only $7 from her book, How to Cook a Bigfoot. In April of 2012, Ray had to have his toes removed from his other foot. In recent years, due to advancing clotting and amputations, Ray’s fieldwork was severely restricted by his use of a wheelchair. 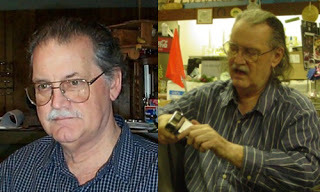 Towards the end, Ray sent messages to me, via Joe Beelart and Larry Lund to ready his obituary. I sadly did that. He handed the following 9/11/2015 written message to me via Larry. Ray was a great guy, a great friend, and a great social magnet for the growing movement involving the social part of modern Bigfooting. With Ray Crowe out West beginning in 1991 and Don Keating out East starting in 1987, Bigfoot groups have since developed around the country that have copied those gentlemen’s organizational genius. 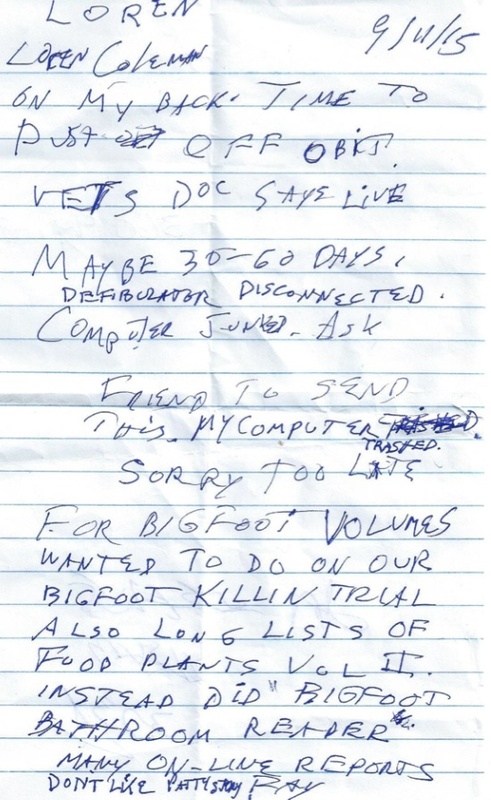 Ray’s extremely informal model for making an interest in Bigfoot an accepted focus for routine social activities is one that lives on beyond his life. That will be his legacy, I sense. Ray Crowe will be deeply missed. Very nice write-up about the impact and life of Ray Crowe, Thom, wished more people would get to see it somehow. Sterling S.